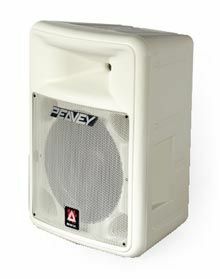 The Peavey Impulse 1012 Speaker in Black or white is weather resistant plus powerful for great sound indoors or out! This system provides high power handling capability while maintaining a smooth, yet clear response. 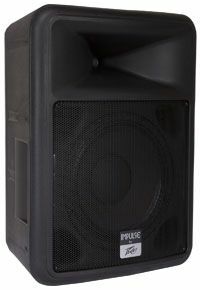 The elegant and durable trapezoidal enclosure is made of high-impact polypropylene with a metal grille. This system is comprised of a 12 inch Black Widow® woofer with a Kevlar® impregnated cone (with a specially treated surround) and a RX™ 22 two inch titanium compression driver coupled to a constant directivity horn with Sound Guard™ high frequency driver protection.